IBM recently announced the end of support for WebSphere Application Server and WebSphere Application Server Network Deployment for versions 7.0 and 8.0 with effect from 30/04/2018. We highly recommend that you move to WebSphere Application Server/Network Deployment for v8.5/v9.0 and the latest Java SE version (Java SE 8) due to potential security risks on earlier releases of WebSphere Application Server and Java. WebSphere Application Server/Network Deployment for v8.5/v9.0 provides the option to use Java SE 6, Java SE 7, or Java SE 8. WebSphere Application Server/Network Deployment includes Java and during the life-cycle of WebSphere Application Server those packaged versions of Java may go out of support by Oracle. Once a Java SE release is no longer supported by Oracle then IBM will not be able to provide any code fixes for that specific Java release. Security risks can come in the form of newly identified exposures that impact older versions of Java, and updates from browser vendors that remove support for security standards that are no longer considered secure, such as SHA1. 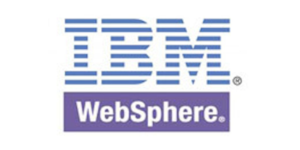 Current versions of WebSphere Application Server support multiple versions of Java SE. New releases of Java are added as they become available to enable you to stay current and reduce the risk of security exposures. If you are using WebSphere Application Server v8.5 with Java SE 6, then there will no longer be support for the Java SE 6 version after April 2018. Similarly, for users of WebSphere Application Server/Network Deployment v8.5 with Java SE 7 or Java SE 7.1, support for the Java SE 7.x versions will be discontinued after September 2019. Upgrade to v8.5/v9.0 to ensure continuity of support/subscriptions and reduction of potential security risks. Remain at the current version but no longer be entitled to support (providing you continue to renew your annual subscriptions you will still have the option to upgrade to v8.5/v9.0 when you are ready to do so – but no support will be provided at v7.0/v8.0. If you remain at v7.0/v8.0 after the 30/04/2018 and you still require support, then you will need to purchase a Service Extension for the version which you are running – this will provide you with ongoing support in the event of a software failure for a period of up to 2 years. Speak to Recarta today about a Service Extension or for help with migrating to the latest version of WebSphere Application Server/Network Deployment to ensure your business remains up to date with all WebSphere security patches and updates and therefore preventing any potential exposure to your business.